I usually don’t participate in our club tournaments since they start early and are held on the weekend, but this is a special tournament to me. 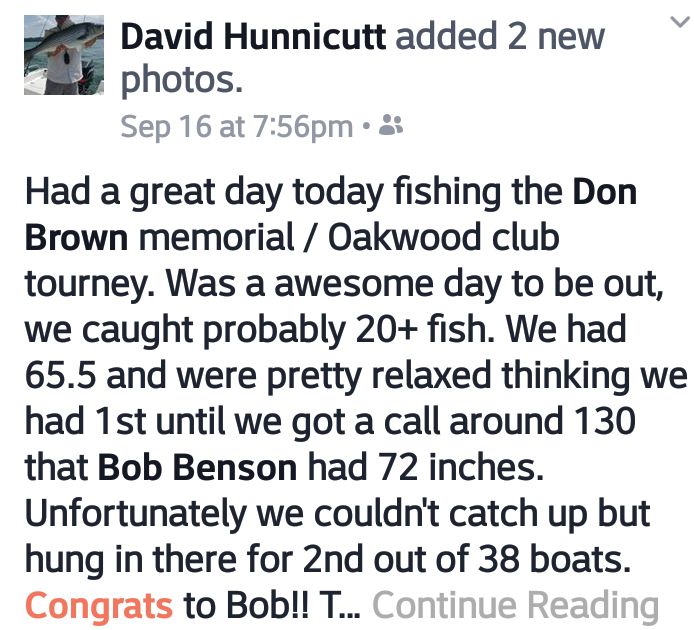 This was the first tournament I participated in since Dons death and the only tournament I fished in without him. 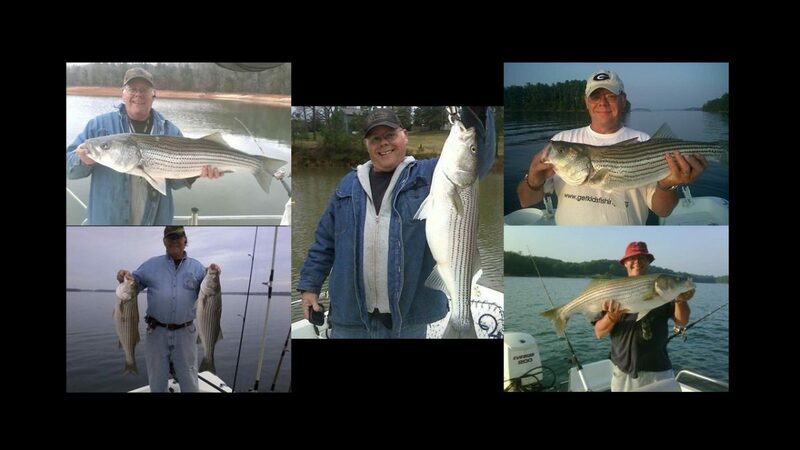 To be sure I participated like a tournament angler I spent the night out on the water and slept on my boat. I don’t think the hours were too long at all. Maybe started a little early since it was still dark at 6 : 30. I had bait in the water at 6 : 40 and fished till 1 :30. Only caught 1 fish but I was in the vicinity of about a dozen other boats so I felt like I was in a good area. The check in was a lot of fun to me. Seeing some of Dons family and friends and other club members again was the best part of the tournament. I was fortunate enough to win a very nice rod and reel donated by Oakwood bait and tackle and my wife won a $ 50.00 gift card from Shell oil co. Thank you all to those participated and those who donated some fabulous prizes to this very worthwhile project. And congratulations to Team Chaser for the win with two nice fish. Please click on “Leave A Comment” and tell us about the Don Brown Open Tournament this year. What you liked or didn’t like? How we could do better? Anything about your experience you want to share with others?